Finding a job these days is not just filling in an online application, submitting a resume, and waiting by the phone for that interview phone call. You have to work to be noticed! 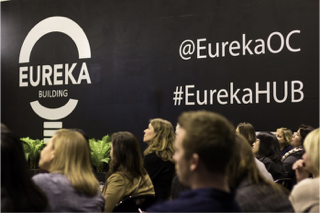 Eureka Building provided a great place to host the event and the moderator, Della Mahone, started the evening with a warm introduction of our panel consisting of Sarah Copeland, executive director of recruitment at Irvine Technology Corporation. Tamoy Kim, a senior technical recruiter at Alexa new technologies initiatives team at Amazon, and Danny LeQuang, Senior Technical Recruiter at Blizzard Entertainment. Paint your picture! You need to be self-aware and look for the work activities you gravitate towards. The recruiter needs to be able to see your picture. Know your superpowers! Is your strength people management, or program management, or technical skills? What education do you have that sets you apart? What problems did you solve others could not? Network! 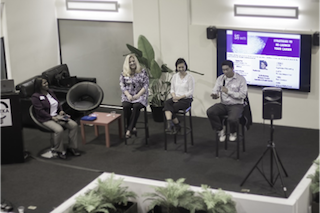 Networking is crucial, and events such as these (WITI OC) give people a great opportunity to expand their knowledge about companies in the OC Tech community. Target and adjust your resume to job description! In general, our panelists advised against posting your resume on job sites. Basic qualifications for any job are must have. When applying for a job, explain why you are interested and what exact experience you have. There needs to be a match between your resume and basic job qualifications. Do not get discouraged! Interviewing is like dating. Nobody married everybody he or she dated. You are questioning companies, too. Have an open mind on what is your dream job because Mr. or Mrs. Right is hard to find. LinkedIn matters! Clients or companies are looking for common connections. There must be no fabrication, and don't confuse anybody. Recruiters go through about 60 resumes per hour. Do not throw red flags - such as LinkedIn versus resume mismatches on dates and jobs. LinkedIn and resume must state employer's name, not the clients' names. Have a nice picture and smile. If you are an individual contributor - there should be an exact match between your LinkedIn profile and resume. If you are a manager, leave some ambiguity on your LinkedIn profile, especially if you want to change your job duties. If you are unemployed put "Actively seeking new opportunities" into your LinkedIn summary plus there is also LinkedIn setting you can turn on to indicate you are open to new opportunities. Make a small update every week, and your network will get pings from LinkedIn. The panel also discussed the next stage of the hiring process: You got that call, and now you are prepping for your interview. Very interesting recommendation from our panel: leave perfume at home! You never know, you might end up in a small room. The book "Knock 'em Dead 2017: The Ultimate Job Search Guide" is a good choice to help you prepare. Research! Why Them? Now is your turn to inquire about the company. A good recruiter will prep you. STAR format is an excellent one to use during your preparation (Situation, Task, Action, Result). Your answer on "Why Them?" should be well researched. Does your work style match? Does your communication style match? Some companies publish their leadership principles online. Amazon has 14 of them; Blizzard has 8. Know them. Have concrete examples of them. Is there some question every company will ask? Yes, there is. Be prepared for "When did you failed?" In case a company asks for the second interview. What does matter here? Understand who is the decision maker! Look for opportunities to open them up. Give them a story to remember you. However, it was pointed out that nowadays many companies have a relatively streamlined process. Amazon and Blizzard have one phone screen and one on-site visit (albeit it is 4 - 6 hours on site). What about salary? With the start of the new year, new laws went into effect. Recruiters are not allowed to ask your current salary. Recruiters are allowed to ask what you are targeting. This regulation was established to protect the discrepancies in salaries among women and men. What a great age to be a woman! Many companies have diversity and inclusion initiatives as they need to ensure their employees mirror their customer base. 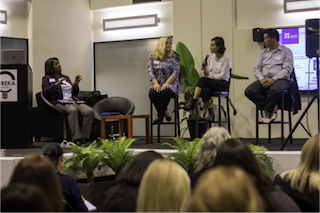 We hope these tips from our first 2018 WITI OC event will help you launch or re-launch your career! Happy New Year and Good Luck from all of us at WITI OC!